Chief Executive of OAO Uralkali Vladislav Baumgertner, a Russian national, was detained in Belarus today on an abuse of office charge as chairman of Belarusian Potash Co (BPC). The charge may lead to up to ten years in prison with the confiscation of all his property. Belarus also asked Interpol to help with the arrest of four other BPC employees and board members. Arrested in the airport following negotiations with Belarus prime minister Mikhail Miasnikovich, Baumgertner fell victim to the economic conflict between Minsk and Moscow that started earlier this summer with Russian Uralkali suspending exports through the Belarusian Potash Co.
His misfortunes demonstrate the risks involved in doing business in Belarus, a country where politics and business form an explosive mix. And if it is possible that Baumgertner can at least contact the Russian embassy, Belarusian businessmen are in a double bind between the EU and Lukashenka's blacklists. American lawyer Emmanuel Zeltser, who was also involved in disputes between Russian oligarchs affecting interests of the Belarusian state, had to spend almost 16 months in a KGB prison until a high level delegation of US Senators came to rescue him in 2009. Loyalty to Lukashenka and staying away from politics determines a business' success for those who want to do business in Belarus. A comparison of the wealthiest Belarusians and Ukrainians illustrates this point. Although big business in Belarus has come a long way since the 1990s, success continues to depend on a person's loyalty to the current political regime. In this sense, Belarus has no actual oligarchs – defined as having enough wealth to wield political influence. In Ukraine, over half of the top 100 Ukrainian oligarchs support one or another political party. While the governing Party of Regions enjoys the most popularity, the supporters of the 2005 "Orange Revolution” stayed in business, even though some have changed their political allegiances since then. In Belarus, in contrast, businessmen support only pro-Lukashenka organisations, such as Belaya Rus, a Belarusian version of Vladimir Putin'S United Russia party, supported by owner of the Marko shoe-business Mikalai Martynau. In the 2001 presidential election, former secretary of the central committee of the Belarusian Communist Party Anatoly Lashkevich, who became a successful businessman in independent Belarus, supported the opposition candidate Uladzimir Gancharik, and had to emigrate following Lukashenka’s victory. Not a single businessman from Ezhednevnik's rating of top Belarusian businessmen feature among the 110 deputies in the lower chamber of Belarus's National Assembly. Back in 2001, Alyaksei Vaganau, successful in the automobile industry, had to suspend his business activities upon becoming a deputy in order to comply with Belarusian legislation. In the upper chamber, out of a total of 64 deputies there are only two "oligarchs" (Alyaksandr Shakutin and Mikalai Martynau). Businessmen are virtually absent from the government. In contrast, in Ukraine, more than one fifth of the 100 wealthiest businessmen identified in FOCUS rankings serve in the Ukrainian Rada. Furthermore, only one third of all Ukrainian businessmen have never held a state position. No “red directors” made it into Ezhednevik's list, although these "red directors" make up more than one fifth of the richest 100 Ukrainians in FOCUS. Back in the 1990s, a great many managers of formerly Soviet enterprises benefited from privatisation, becoming the first oligarchs in the post-Soviet space. In Belarus, however, privatisation came late and was small in scope. Even today, the government owns most enterprises in the country. The first big businessmen of the 1990s fell prey to the policies of Alexander Lukashenka’s first two presidential terms. 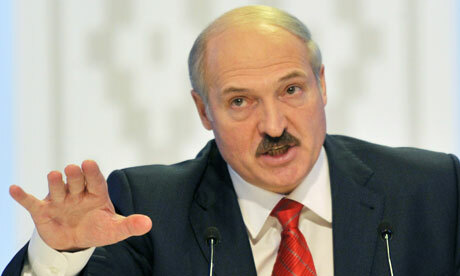 The times have changed and Lukashenka now needs business people to modernise the state's factories, to comply with privatisation conditions attached to most western loans, and to protect the Belarusian economy from the dominance of Russian oligarchs. This explains the rise of a phenomenon absent in Ukraine: the growth of the practice of the national holding companies that consist of groups of state enterprises under the management of private businessmen. Belarusian businessmen seem more likely to own business assets abroad than their Ukrainian counterparts, even despite smaller overall wealth. Eighteen out of top 20 Belarusian businessmen in Ezhednevnik and only fifteen out of the top 20 Ukrainian businessmen in FOCUS have assets in other countries. For example, the wealthiest Belarusian according to Forbes, Uladzimir Peftiev, who owns assets in Austria, Malta, and India, is estimated to be worth only $1bn. The wealth of each of the top 20 Ukrainian oligarchs in FOCUS surpasses Peftiev's. Rinat Akhmetov, the wealthiest Ukrainian oligarch, owns more than $15bn. Less then half of the 20 Ukrainian businessmen whose wealth approaches the wealth of the top 20 Belarusians have assets abroad. Geographic diversification of assets allows for the hedging of risks and preparation for the day when one falls out of favour domestically. While Belarusian businessmen have assets in countries as diverse in regulatory environments as the United States, Singapore, India, and Germany, Russia is by far the most popular location - just far enough that the “grabbing hand” of the Belarusian state cannot easily reach. Even so, Belarusian business did not make it to the international stock exchange listings. In 2012, EPAM Systems filed for IPO on the New York stock exchange. However, EPAM is atypical as it is owned by Arkady Dobkin, who emigrated in 1991 and today lives in Pennsylvania, where EPAM was launched. In contrast, about 40 per cent of the 50 richest Ukrainians have assets listed internationally. A final distinction between the Ukrainian and Belarusian big business is that the assets of the Ukrainian oligarchs are much more secure not only domestically, but also internationally. In 2011, three of the Belarusian “oligarchs” fell under EU sanctions: Uladzimir Pentiev, who is sometimes called “Lukashenka’s wallet”, became the first Belarusian businessman to appear in Forbes; Yury Chiz, a close friend of Lukashenka’s; and Anatoly Ternavskiy, who owns a group of companies “Univest-M” concentrated in the energy sector. Ukrainian businessmen, at least for now, seem to have avoided this fate. So what determines a business' success in Belarus? Having no ambition to become a true oligarch; in other words, ensuring that one’s wealth does not become a source of political power.